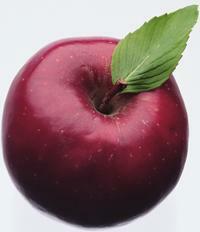 Are Some Insulations "Greener" Than Others? 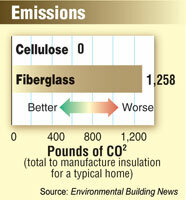 Insulation is inherently green because it increases the energy efficiency of homes and buildings. But are some insulations "greener" than others? It's worth a look, especially with the strong interest in environmental responsibility. 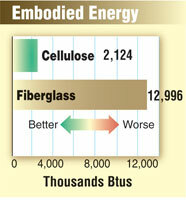 The amount of energy consumed to manufacture a product is known as its "embodied energy". Every building product from shingles to concrete is made using energy. Some products can be manufactured using little energy. Others require a great deal. Fiberglass is manufactured in monstrous blast ovens which consume vast amounts of natural gas to melt sand and chemical additives into glass. The necessary equipment is enormous in size, complexity, and in its appetite for energy. Manufacturing fiberglass generates glass dust and huge quantities of carbon dioxide from natural gas fired blast furnaces (manufacturing fiberglass insulation for just one home generates over 1,200 pounds of carbon dioxide!7). Fiberglass plants also generate enormous amounts of other chemicals used in its manufacture (formaldehyde, urea, polyvinyl acetate, chlorides, etc.). Some insulations are definitely greener than others. 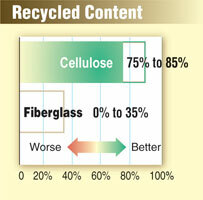 There are tremendous differences between cellulose and fiberglass. Even individual homeowners can make a significant environmental impact by choosing the most environmentally responsible, highest performance insulation for just one home. Builders, architects, and insulation contractors who influence the choice of insulation for many buildings have the opportunity to make a profound impact. 1 North American Insulation Mfrs. Assoc. (NAIMA); "Fast Facts About Fiber Glass". 2 University of Colorado, Oak Ridge National Labs. 4, 5 Natural Resources Defense Council (NRDC). 6, 7 Environmental Building News, University of British Columbia School of Architecture.